5 Star manufactures and markets the World’s Finest saddle pads and cinchas (cinches) for your horse and is the original designer and developer of the “Western Contour” saddle pad concept. The specially designed 100% Wool Contoured Pad actually FITS your horse’s back, relieving unnecessary pressure. The 5 Star Contoured Saddle Pad is the original Western contour saddle pad with “a true French Curve backline and withers slope.” Special attention is given to wither height, backline variance and hip placement which results in a GREAT FITTING SADDLE PAD that conforms to the shape of your horse or mule. This conscious effort in design has produced a pad that fits most breeds of horses and mules without “break-in” fitting. WHAT MANUFACTURERS DON ‘T TELL YOU! Marketing of saddle pads has become big business. All one has to do is make a web search and you will find over 15 pages of manufacturers. Each saddle pad company puts various marketing emphasis on their products. Emphasis ranges from comfort, fit, durability, ease of cleaning, cooling, compression protection, performance, close contact, blood flow to animal’s back and the list goes on. 5 Star’s 100% Mohair Cinchas (cinches) are hand laced to top quality hardware for theSAFETY AND COMFORT of your horse. 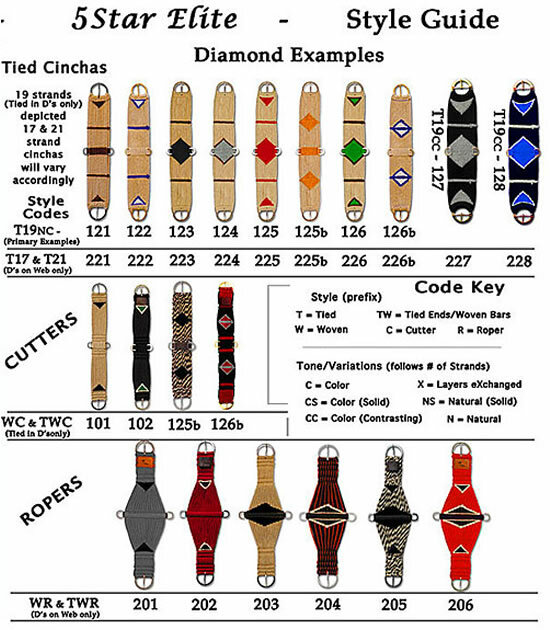 Barn World carries 5 Star cinches for your equestrian cinch needs. The handmade cinches make them one of our most popular items. The World’s Finest handmade, all-natural, therapeutic 100% Mohair equine cinchas fit our philosophical position of what is right for horses and mules. Cinch cord is an 8-ply, 100% Mohair cord. The cord is hand laced onto flat buckles and rings. Mohair has been known for years to have the same therapeutic and comfort value as 100% wool felt. 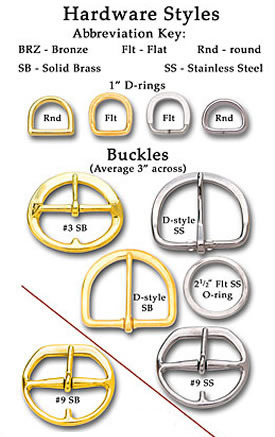 5 Star equine cinches use BORK FLAT BUCKLE HARDWARE, in TUMBLE or POLISHED FINISH. Bork Saddlery Hardware Co. is the finest and oldest saddle hardware company in the United States. The bronze rings and buckles are made of an alloy offering high tensile strength and corrosion resistance. The FLAT HARDWARE keeps the horse’s flesh from “rolling over” and pinching as with roller and round hardware. All 5 Star cinches are made in the USA. Visit BarnWorld.com today for our complete 5Star product line and all of your equine cinch needs.